Many counties are switching to oil and gas production as coal's fortunes wane, but farms, food hubs, and community kitchens may keep rural areas alive. Coal Country USA has seen a very bleak few years. As mines have shut down around the nation, local economies have suffered. In fact, 77 percent of the 196 coal-producing counties in America had not returned to pre-recession job levels, with jobless rates as high as 16 percent in some places. And, while many of those communities have replaced coal with oil and natural gas extraction, others are turning to local food as an economic driver. A new book co-published by the U.S. Department of Agriculture (USDA) and the Federal Reserve Bank of St. Louis says the time has never been better for thriving regional food systems, given Americans’ increasing interest in fresh, local food. In Harvesting Opportunity: The Power of Regional Food System Investment to Transform Communities, Deborah Tropp, deputy director of marketing services at USDA, points to data showing that consumers are willing to pay more for food produced in their own communities. Increasingly, farms are responding: more than 167,000 U.S. farms sold their food directly to consumers in their areas in 2015, resulting in $8.7 billion in revenue, according to the authors. And data cited in the report suggest that more than half of local farm sales in 2012 were through intermediaries like wholesalers or institutions, suggesting an even more lucrative prospect for regional producers. “Recognition is growing that support of small/local farm businesses may keep a greater share of money recirculating in the local economy and allow farmers to retain a greater share of consumer expenditures on food,” Tropp writes in the book’s first chapter. 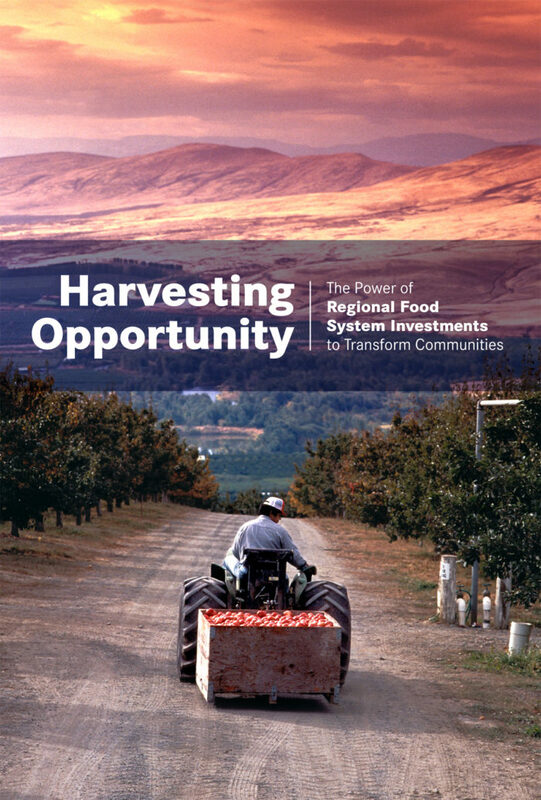 The authors also note that so much more is possible, and that food has the potential to transform rural communities across the nation, with the right mix of support from local and federal governments, investors, banks, and philanthropists. The ground may be especially fertile in communities traditionally reliant on coal. For one, many coal-mining communities are also farming communities. Take Delta County, Colorado. For decades, the region’s coal companies flourished. Good-paying jobs attracted miners from across the nation. Towns like Somerset and Paonia, built by coal, were busting at the seams. And then, almost overnight, it was nearly all gone. Following a slow recovery from the last economic downturn, the rapid closure of two of the region’s three largest mines between 2013 and 2016 sent shockwaves of panic throughout the area. Over the last four years, nearly 1,000 coal jobs—many of which paid upwards of $80,000 annually—vanished from the county. The one remaining mine is now under bankruptcy protection and on life support, every job hanging in the balance. As many residents, especially younger ones, left the county to find work elsewhere, financial hardship hit many of the mining families who stayed. Enrollment in the public schools plummeted, while enrollment in the schools’ free or reduced lunch program nearly doubled, says Trish Thibodo, executive director of Delta County Economic Development, Inc. Revenues at area businesses have been flat for years. County officials and business leaders have been driven to envision life and business in Delta County after coal. One vision is a county teeming with productive farms and value-added food businesses marketing and distributing the region’s bounty throughout the state. This was the recommendation made in a recent strategic plan by county officials. Published last year, the plan recommended looking to food and agriculture to turn its economy around. The county is already home to one of the state’s largest concentration of organic produce farms and livestock ranches. But many producers here, lacking more efficient distribution channels, put tens of thousands of miles on their own vehicles driving their products to restaurants and farmers’ markets as far as a state away. Leaders envision the creation of a thriving food hub in Delta County, where ears of the area’s famous sweet corn, for example, can be marketed and distributed to restaurants and institutions and excess produce made into foods like salsa and jam in a new commercial incubator kitchen. Producers and farmers would receive business assistance as well, with longer-term plans including the creation of a food manufacturing certificate at Delta-Montrose Technical College and regular conferences on agricultural innovation. County Administrator LeValley will benefit from a bolstered local food sector herself. She is a fourth-generation cattle rancher, the co-owner of a direct-to-consumer beef operation and processing facility. She says that in addition to taking its food throughout the state, Delta County could become a food and farm destination for tourists. 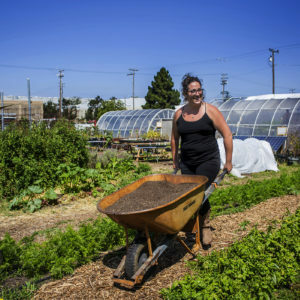 Delta County isn’t the only community thinking big about the power of local food, says Sanah Baig, program director with the National Association of Counties, which has been helping traditionally coal-reliant communities retool and diversify their economies since 2014. “No one community should rely on one employer—it’s not sustainable, not good for business, and it doesn’t let people sleep well at night,” she adds. Across Appalachia, for instance, where more than 33,000 coal mining jobs disappeared between 2011 and 2016, diversification efforts are underway to provide people with technology training, courses for small-air drone operation, and careers in the natural gas utility and pipeline industry. 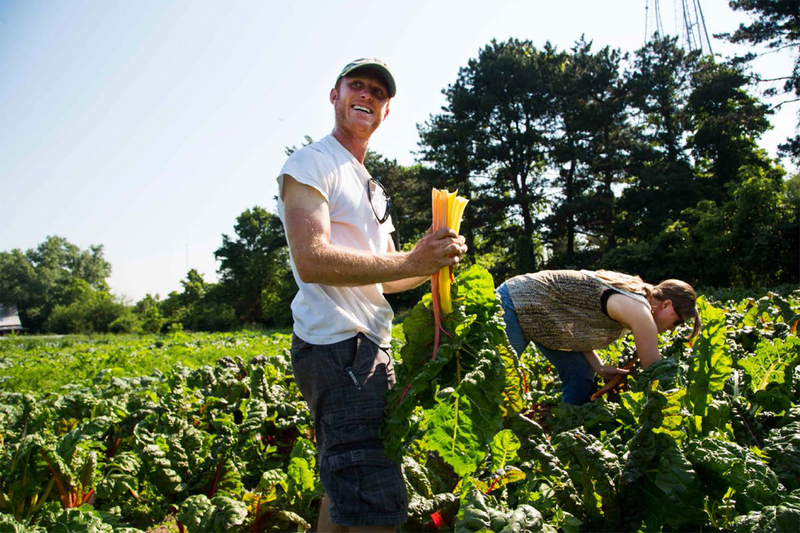 Local food systems could also play a major role in revitalizing the economy. 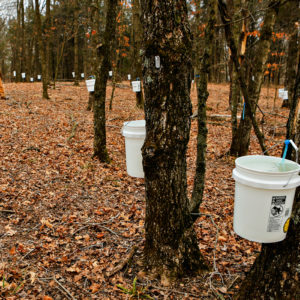 Appalachian Sustainable Development was one of several agriculture-focused groups to receive a Partnerships for Opportunity and Workforce and Economic Revitalization (POWER) grant funded partially by the U.S. Department of Labor. The funding will help the nonprofit, which runs a large, successful food hub called Appalachian Harvest, to create and support a “food enterprise corridor” across 43 counties in five states to connect growers and value-added food producers to wholesale markets across the region. The corridor has also received funding from the Just Transition Fund and CoBank. Another POWER grant recipient, Sprouting Farms, is a newer program training and incubating new farmers in two valleys in central West Virginia. The project, which aims to create 20 new businesses and 33 jobs, also hopes to leverage nearly $1 million in additional investment from private and public sources. In all of these cases, it’s important to note that the authors of Harvesting Opportunity stress that initiatives like these can’t be solely funded by the federal government. It can provide an agricultural project some seed funding through a grant or low-interest financing, but foundations, corporations, and other private investors need to step in to sustain these projects and build capacity. Back in Colorado, oil and gas is still one of the state’s largest employers, contributing more than $31 billion to the state’s economy annually. But like coal and other extractive industries, oil and gas is prone to cycles of boom and bust. The people of Grand Junction, located just 40 miles from the Utah state line in Western Colorado and 250 mountainous miles from Denver, know this all too well. In 1982, on a day known locally as Black Sunday, Exxon ceased its extensive oil shale operation in the region, resulting in thousands of job losses and large-scale migration from the area. A decade ago, natural gas drilling on the Western Slope—including the Grand Junction—hit an all-time high, and the town thrived. But then, the Great Recession brought yet another bust. Annalisa Pearson of the Business Incubator Center has witnessed the impact that downturns have on families and businesses and would like to see Grand Junction break free from the whims of the boom-bust cycle. She sees a thriving local-foods sector as a way to do that. In 2004, the Center opened its commercial kitchen incubator, which serves as a professional space to produce value-added foods and a commissary for a number of food trucks. In all, more than 30 food businesses now use the space. In Pearson’s mind, there was always a sense that more could be done to support producers on the Western Slope. 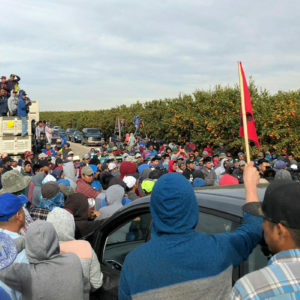 For instance, she found that if each household in the county spent just 10 percent of their cook-at-home food budget locally, $24 million would go into the pockets of the area’s farmers, ranchers, and entrepreneurs. A commitment from restaurants to source 10 percent of their food locally would add another $6.2 million to that equation. Last March, Pearson convened a group of small- and medium-sized food producers, as well as potential buyers, to begin talking about how they could leverage local food as an economic driver. In attendance was rancher Kathryn Bedell, whose 85 head of cattle and sheep graze more than 10,000 mountainous acres in the county. She shared her experiences as a single mom, loading cattle into the truck by herself, the 120-hour workweeks, and the 40,000 miles a year she put on her truck hauling beef and lamb to six farmers’ markets between Glenwood Springs and Mesa, Utah. Building on the success of the incubator kitchen, Bedell, Pearson, and the rest of the steering committee have begun work on a regional food hub that will promote the county’s bounty, provide business and distribution support to producers, and build a larger processing space. Long-term, they envision a permanent indoor public market where visitors can buy meat, cheese, produce, and wine. Grand Junction would be the hub, distributing local food across Western Colorado. “For us, it’s creating a community with enhanced economic and social benefits,” Pearson says. Photos courtesy of the Federal Reserve Bank of St. Louis. I love organic small family farms and try to buy local produce. I believe the public is supporting this trend and more people need to get on board for taste and better health.